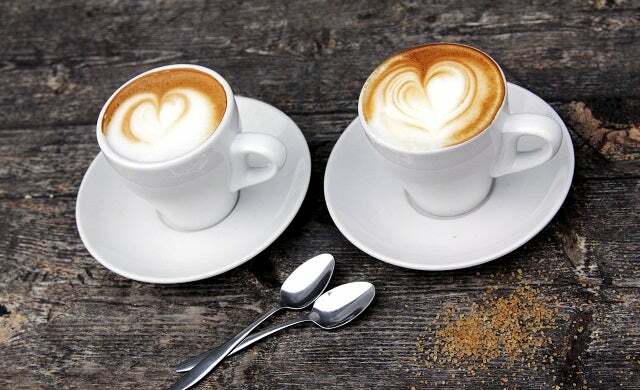 Over the past couple of decades, the UK has been catching up to its continental European cousins in embracing café culture – an explosion in coffee chains has meant that a high street without a Costa or Starbucks is a strange sight indeed. And the coffee shop industry continues to thrive; presenting a range of opportunities for budding entrepreneurs with coffee shop ideas. 2016 research from Mintel reports that the UK coffee shop market has enjoyed its biggest period of growth since 2008, when the market was valued at £2.2bn, to reach a value of £3.4bn in 2016. Sales made by coffee shops in the UK are also on the rise. Between 2015 and 2016 sales increased by 10.4% – the biggest year-on-year boost witnessed in the last five years. Coffee shops are big business, and consumers are constantly on the hunt for the intimacy only an independent provider can offer. There’s no point trying to make an impact as a generic high-street coffee shop – the largest chains have that sector of the market well covered, and can afford to undercut you with better prices. Developing a unique identity is, therefore, crucial – give consumers a reason to choose your establishment over a generic high-street café by pushing your independent credentials. Think about who your target customer is, what they’re looking for in a coffee shop and undertake research of the market and emerging trends. Perhaps you could offer a selection of unusual or ethically-sourced brews, cold brews, or provide reading materials or other diversions to offer customers a more ‘homely’ experience than the sterile environs of a Starbucks. Generally, though, the byword should be quality – doing something better, and with more care, than a comparable high-street coffee shop would. There’s been a recent trend in quirky coffee shop ideas from London’s first ever cat cafe to a cafe serving only breakfast cereals, so make sure you find your cafe niche! If you’ve never worked in a café or coffee shop before, you should spend at least a few weeks – if not months – working in one to properly understand how to run a coffee shop and the work that’s required to get it off the ground. You can also use this time to gain invaluable insider tips on how to make your coffee venture a success. As long as you’re not going to set up in direct competition with them, you will find many coffee shop owners surprisingly helpful. Location is crucial: two-thirds of people buy coffee when they’re on their way somewhere else, so it makes sense to pick a location with high footfall. This will obviously be expensive, though – you might decide to move to a more spacious location off the beaten track, spending the money you save on buying in better beans and improving the quality of your coffee. Generally, though, you should look to where the largest chains such as Costa, Starbucks and Caffe Nero are setting up – these areas will have been carefully selected for drawing in large amounts of customers, some of whom could be pried away in search of an independent alternative. Are you going to set up a kiosk for busy commuters to get their caffeine fix, or a spacious, sofa-laden suite in which people can relax and meet with friends? As with any business where you will serve food and drink to the public, you need to be keenly aware of the relevant law. The Food Standards Agency (FSA), the government body that regulates food safety in the UK, produces the ‘Safer Food, Better Business’ leaflet which contains key pointers on serving food, including cooking, cleaning, chilling, management, contamination and keeping a food diary. You should also learn the Hazard Analysis Critical Control Point, or HACCP, which is an internationally-recognised method for identifying the most common food safety hazards in a preparation process. And, once you’ve got your coffee shop idea off the ground, you will also need to make sure you have shop insurance to protect your business. Read our guide to shop insurance cover here. For a detailed step-by-step guide on how to run a coffee shop and coffee shop ideas, read our comprehensive guide on how to open a café.